4:30 p.m. -- 6:30 p.m. 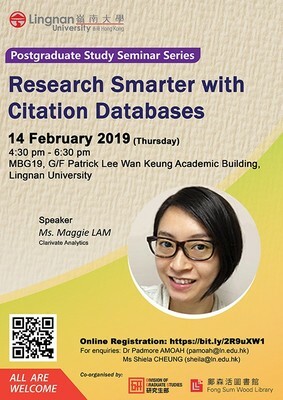 This seminar introduced ways to find out high impact journals and journal articles, as well as citation indices and impact factors from Journal Citation Report (JCR) through the database Web of Science. This seminar was part of “Postgraduate Study Seminar Series”.